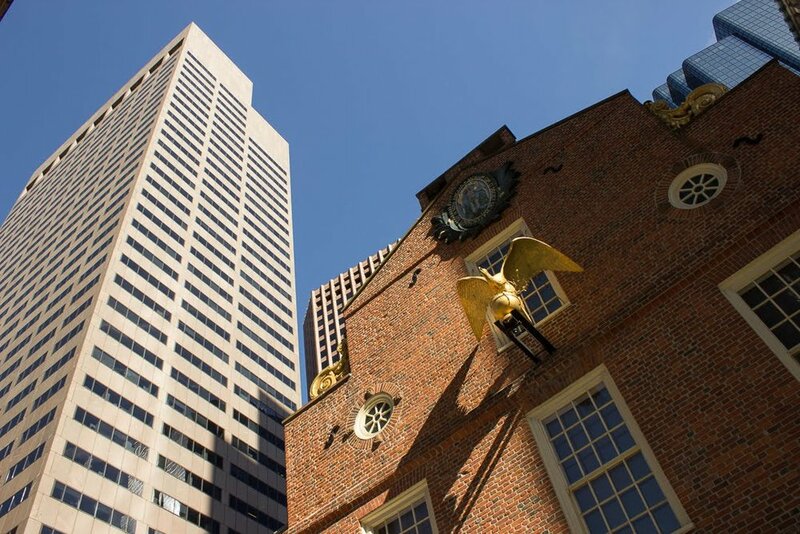 Boston is one of my favourite cities in the world; steeped in colonial history and rich in American culture. The city is integral to the founding of modern day America and, being one of the oldest American cities, it is also important to America’s brewing history. This wasn’t my first time in glorious Boston, and nor is it our first post covering beer in this fair city. You can read about our trip to Harpoon Brewery here. This time we journeyed further afield to the 'burbs. This post covers the Boston part of our trip that sandwiched our travel around a few other places in New England. Strap yourself in, this is a biggy and I've got a lot to get through. Flying out to Boston in autumn (sorry, the 'fall') we were looking forward to seeing the fallen autumnal leaves underfoot and Halloween decorations adorning the streets. What we were not expecting flying out late in October was glorious sunshine and twenty four degree heat. Bonus! On our first full day in Boston we hit up all of the main sites, conveniently laid out on the historic Freedom Trail. Walking this two and a half mile path was hard going in the heat, particularly the three hundred steps up to the top of the Bunker Hill Monument. 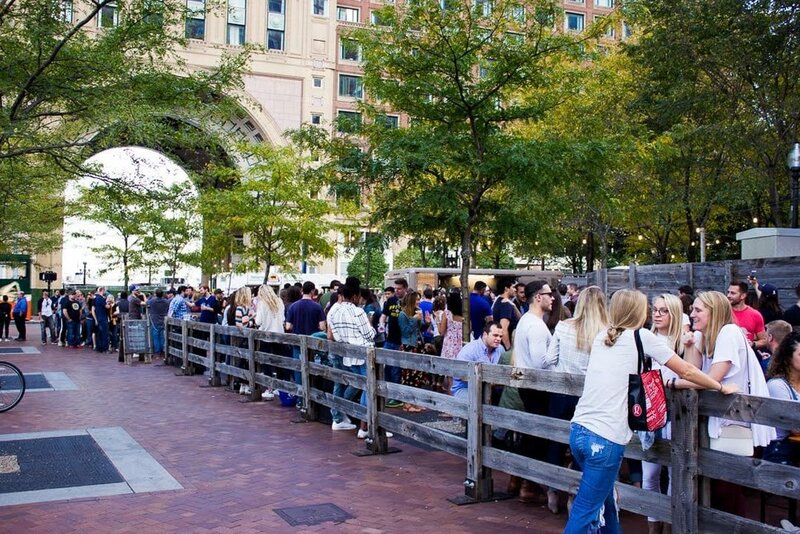 After a day spent sightseeing, we were in the mood for some refreshments and we happened to find ourselves down at Boston's famous long Wharf - not far from here on the Greenway on Atlantic Avenue we stumbled across a sight to behold, Trillium's Beer Garden. 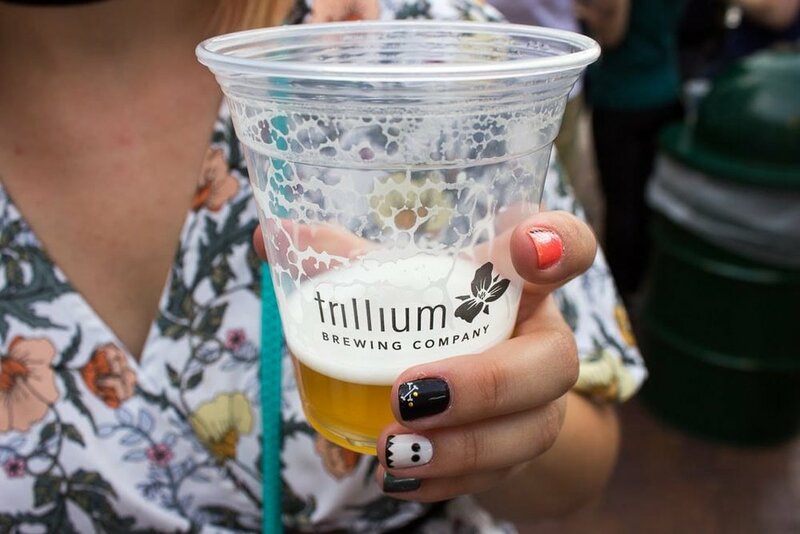 Trillium are one of the most hyped breweries from the American craft beer scene in recent years so this was a fantastic find considering the brewing facility itself in located further away in Fort Point and does not have a Tap Room to speak of. Trillwater - Sour Gose 6% // Trillium x Stillwater: Massively refreshing sour needed after a long day that went down brilliantly, a perfect blend of sour and salty gose. Deciduous (2017) - American Pale Wheat Ale 8% // Trillium: Again, another really refreshing beer. Rich and fruity with a good body. Great flavours and very satisfying in the sunshine. Vicinity - Double IPA 8% // Trillium: The big one! I had to try at least one Trillium DIPA and I wasn't disappointed. Strong, tropical and almost went down like drinking juice. Excellent as expected from Trillium. Throughout the rest of our stay in Boston, we packed in a lot of sightseeing and a wealth of American history taking in Boston Harbor, Boston Common, Public Gardens (a personal favourite) and Fenway Park. We were staying just outside of downtown in the Fort Hill area in the district of Roxbury. Roxbury doesn’t have the best reputation but it seems that this area is now heavily gentrified and the Fort Hill neighbourhood made for a really peaceful stay. It was a fantastic experience to be staying in residential America especially with the households all preparing for Halloween. Throughout the week we visited a whole bunch of Boston bars; there’s a lot of them to get through but and we were willing to accept the challenge. Ranging from dingy local dive-bars to the tourist trappings of Quincy Market; there’s even an imitation Cheers bar from the TV show if you can’t be bothered to go to the real bar it’s based on. One of my favourite bars we hit up was the Green Dragon Tavern, found not far from Quincy Market in the North End. I would say that this is a cosy British style pub but, since it’s been described as the "headquarters of the revolution", that might not be too accurate. The bar features an array of craft beers on tap and, weirdly, a beer or two from the UK including Boddington's! One of the things I love about American bars is the big distinctive taps advertising the beers which makes selecting your tipple of choice a slightly easier affair. Plus, they look awesome with the abundance of taps each bar boasts and Green Dragon was no exception. Here I had the thirst quenching Green Monsta IPA by local-ish brewery Wachusett Brewing Company. After this, I fancied trying something different so went for Sam Adam's Brick Red since I had paid a visit to the man's grave only earlier in the day. This was a nice seasonal red ale which made a change from all of the pale ales we'd had so far. I was informed that this was only on in around 20 bars in Boston and you needed special permission from the brewery to stock it. I must have been lucky as it was on in nearly all of the bars I went to. We ended the night by moving onto another bar, Clarke's, where we stuffed our faces with an array of classic junk food: wings, pizza, a Reuben and fish tacos. We seriously went overboard and I think the two bar ladies were a bit shocked to see how much we were ordering. Although I was going to hold off until I visited Portland, I couldn't resist ordering an Allagash White to wash it all down. There’s a hint there on a future blog post. One of my favourite things to do in America is to check out the stores in awe of all of the things we can’t get back home. We made it a tradition each night to head to the local Walgreens for some salt-laden snacks and for a perusal of the beer selection. They had lots of Boston local favourites at very reasonable prices (a six pack for $10!) as well as the typical big brewery beers. One of the most disturbing beers I saw was Budweiser with tomato juice. I wasn't brave enough to buy it. They also had lots of seasonal beers in stock for Halloween. One of my favourites I picked up for a night cap was the appropriately named, Nana's Night Cap by Harpoon. Nana's Night Cap is an oatmeal cookie stout, perfect to savour before bed and reflect on the day's adventures. At a whopping nine percent it fast sent me to sleep before I had finished the bottle. Totally worth it after a jam-packed day of beer and sight-seeing. The Beer Voyage way! 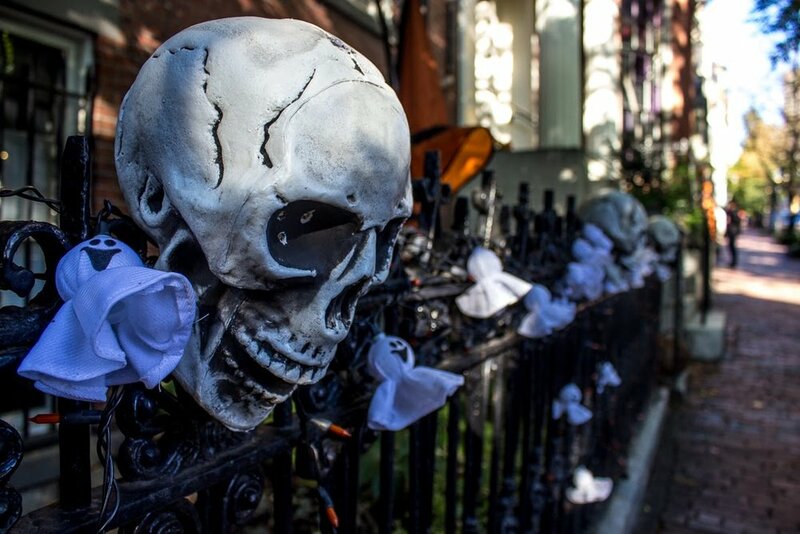 What with it being Halloween, part of our stay in Boston involved a day trip to the city of Salem, where better to be than the mecca of all things spooky. 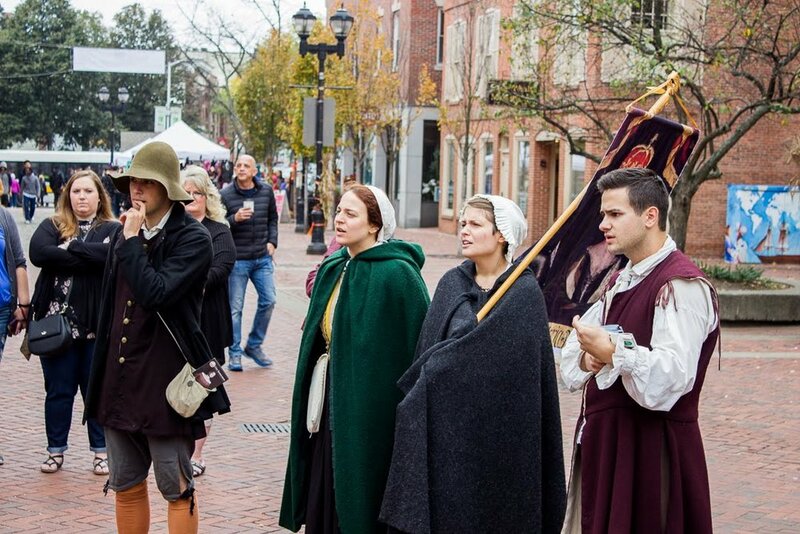 We didn’t get up to any drinking on our daytrip in Salem but from all accounts it’s quite the party town at the weekend. I wanted to give a heads up though about the local store Pampelmousse; basically a farm shop which had a fantastic craft beer selection. 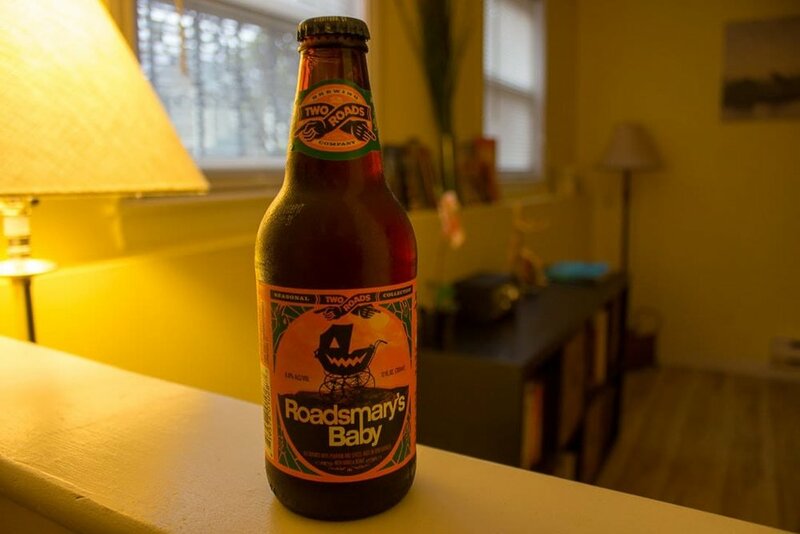 I picked up what I thought was the perfect Halloween beer, Roadsmary's Baby by Two Roads Brewing, based in Connecticut. Definitely worth popping in if you are ever in Salem. I also noticed that Salem had a Beer Works as found in Boston. To be honest, I didn’t really rate my experience at the Fenway Park branch of the bar chain to be able to recommend them with any enthusiasm. As a side note on pumpkin beer, I've only had a couple in the UK and really didn't like them. In fact pumpkin brewed beer in the UK doesn't seem popular at all with Beavertown and BrewDog discontinuing theirs in recent years. Most pumpkin beer in America is different in that it's "pumpkin favoured" with cinnamon, cloves,vanilla (and possibly loads more synthetic goodness). This made an amazing change and I was really impressed even if the flavour is a bit artificial. They'll even sugar coat the rim of the glass as that's definitely something you want. At this point in our trip to New England we travelled up to Maine for a week (that's a blog post for another day). 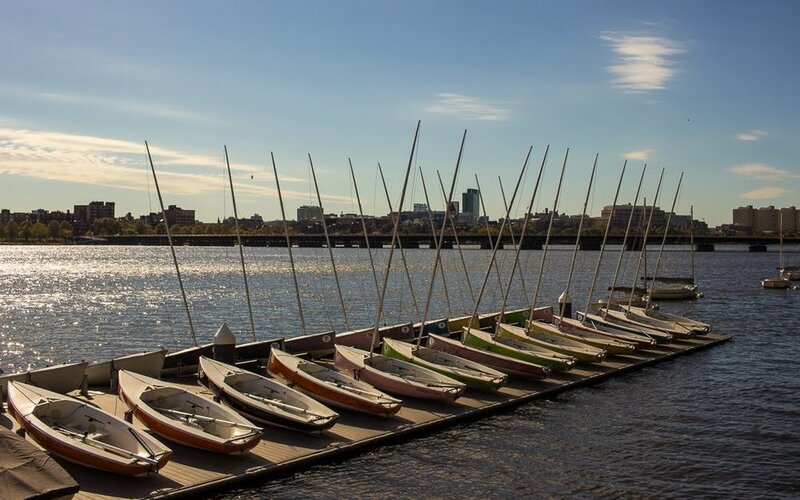 After a week we came back to Boston and located ourselves on the other side of the Charles River, in the more residential area of Somerville, not far from Harvard and MIT which are located in Cambridge and obviously packed full of students. This is a really vibrant area with lots to offer and is one of my favourite locations of wider Boston. Sip of Sunshine - Imperial IPA 8% // Lawson's Finest Liquids: A delicious, bold and fruity beer. I had no idea at the time that this was a massive Imperial IPA! Recommended by our friendly barkeep, this is very sought after when stocked in bars and sells quickly. Furth - Hefeweizen 5.5% // Night Shift Brewing: A fairly standard, and perhaps forgettable, Hefeweizen. Not the type of beer I was after in the U S of A. No. 284 (Scratch Series) - Raspberry Gose 5.4% // Tröegs: Sharp, sour, everything you would expect. I'm not sure if the raspberry added much but good for a sour. Hazelnut Brown Nectar - American Brown Ale 5.6% // Rogue Ales: A fantastic brown beer, strong, nutty and rich. One to savour. Happy Hour - Pilsner 4.6% // Peak Organic Brewing Company: Probably the weakest on the flights but still a fairly decent pilsner by any standard. I also tried a Green State Lager by Zero Gravity Craft Brewery which was pretty decent and Heretic Brewing Company's fruit beer, Agony Cherry which was actually a tasty, strong fruit beer. I need to give a little nod to the beer shop we found just down the road, imaginatively called Downtown Wines and Spirits. This place stocked a massive selection of craft beer from around the world as well as loads of domestic US beers. This shop is seriously huge and I was like a kid in a candy store. I ended up picking up Mikkeller's Hallo Ich Bin Berliner Weisse Watermelon, possibly the least American beer I could get but it sure was refreshing on a hot day. Imaginative names for pumpkin beers are apparently not a thing. All of the beers were surprisingly good but my favourite by far was the ultra boozy Pumking by Southern Tier Brewing Company. We were also lucky to get a brief talk from one of the founders of Southern Tier. He gave a brief but interesting talk about the beer and their brewery. They even had the beer being served on tap out of a massive pumpkin!